Well, this isn’t a hypothetical question, as the government has just pushed the Transport Administration Amendment (Sydney Metro) Bill 2018 through parliament. The legislation, which passed yesterday (May 16, 2018) with little fanfare, amends the Transport Administration Act 1988 to constitute the Sydney Metro as a corporation. It also creates the Sydney Metro Board to run the new entity, which can undertake all the activities outlined above. The above has been republished courtesy of The Author. Sydney Metro’s Commercialised Future was originally published May 18, 2018 on the blog created by Gooding Davies Consultancy Pty Ltd to examine and discuss key strategic issues, based on current research and a general survey of what’s happening in relation to planning, transport, advocacy, policy development and project and organisation management. Legislation has passed the NSW Parliament to create the Sydney Metro statutory authority, a NSW Government controlled agency to deliver the city’s new world-class metro railway system. The new authority will support the delivery of the biggest urban rail infrastructure investment in Australian history and allow Sydney to get the maximum benefits well into the future from what will be one of the world’s great railways. “Sydney Metro is a game-changer for Sydney which will revolutionise the way we get around our great global city for future generations to come – metro rail is here to stay,” Transport and Infrastructure Minister Andrew Constance said. “New world-class metro rail services will start before we know it – in the first half of next year in the booming North West, then extending into the CBD and beyond to Bankstown. In 2024, Sydney will have 31 Sydney Metro stations and 66km of new metro rail, with a new metro train every four minutes in each direction in the peak. 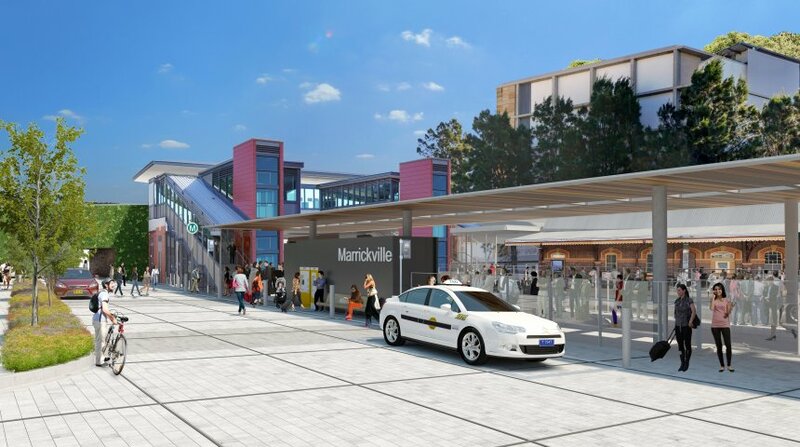 Sydney Metro is a key part of delivering the NSW Government’s Future Transport 2056 priorities – this customer-focused fully-accessible metro service will help grow the state’s economy and help create vibrant places and communities. Transport for NSW’s Sydney Metro Delivery Office will be transformed into the enduring Sydney Metro government agency, which will be dedicated to delivering a new mass transit system that will grow with the city. Sydney Metro will be tasked with working across government to lead the delivery of a world-class metro rail system focused on customers and great local places, driving the state’s economic growth well into the future as a result.